Alexander Keith was a Scottish immigrant who had been a brewer in Edinburgh and London before moving to the New World. He had an interesting career that extended beyond brewing and including being mayor of Halifax and President of the Provincial Legislative Council of Nova Scotia. While in Canada he experimented with ale, porter, ginger wine and spruce beer, but his signature drink was his India Pale Ale. Keith moved his brewery to its final location, a three-story building on Hollis Street in Halifax, where you can still visit it today. The Hollis Street space was shared with the community’s Farmer’s Market for many years before the Market moved to its new Seaport facility. Since Keith’s death, the brewery has changed ownership several times. It is currently operated and owned by InBev (also owner of Anheuser–Busch). In 2011 InBev began selling Alexander Keith’s beer in the United States after nearly two centuries of it being only available in Canada. Besides its famous India Pale Ale, the brewery also makes a popular Red Amber Ale along with several other ales. 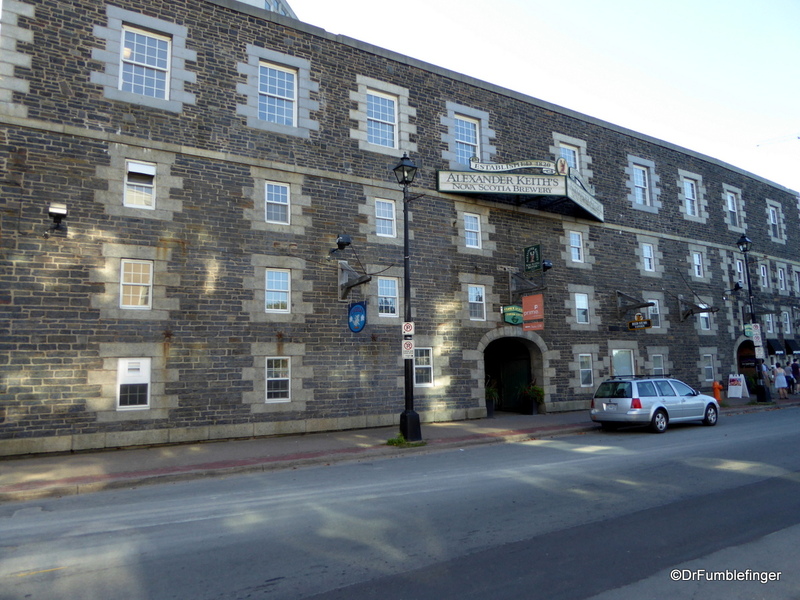 You can tour the Alexander Keith Brewery, as we did during our visit to Halifax. The tour takes you through historic features of the brewery, including an old dining room, Mr Keith’s office, and a collection of Keith-related memorabilia. Your guide will discuss and present of the fundamentals of brewing, and a tour of the actual brewery demonstrates how the theoretical becomes real ale.The tour wraps up at the “Stag’s Head”, a historic pub in an old cavern of Mr. Keith’s Brewery. Here, you can enjoy a Keith beer of your choosing while being entertained by vocals and music performed by your guides. The tour schedule and hours are seasonal, so check with the company’s website before you visit.